30days or 60days or so on, those have not activated their account. So you have these all great feature in one package. Let us Secure your shops now and get genuine sales and customers. Checkout the features in the features section. 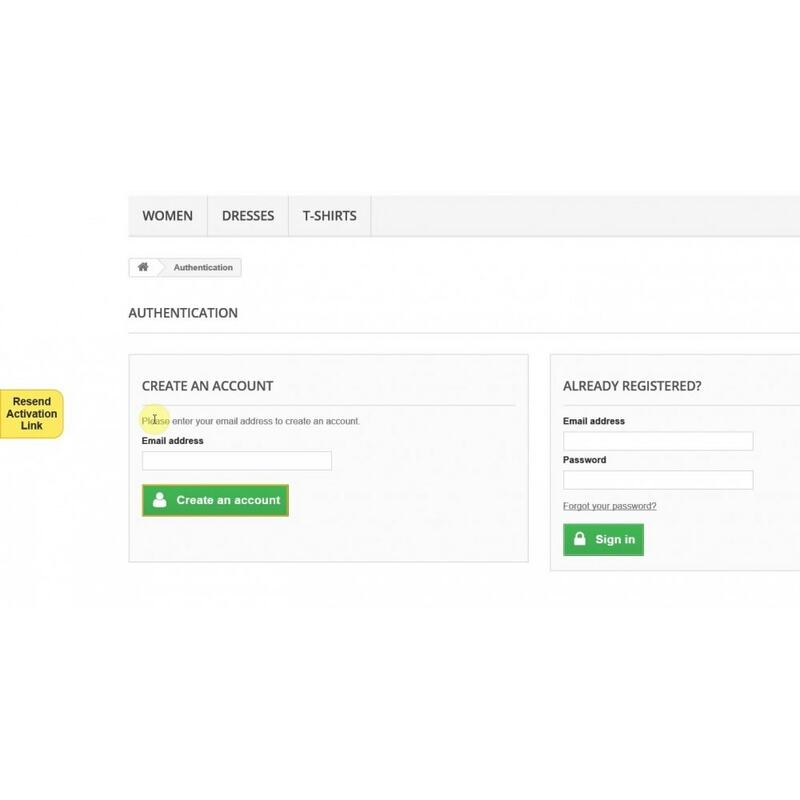 Works with inbuilt one page checkout too. Please do see the demo video. With out excellent customer support you don't have to worry about anything. 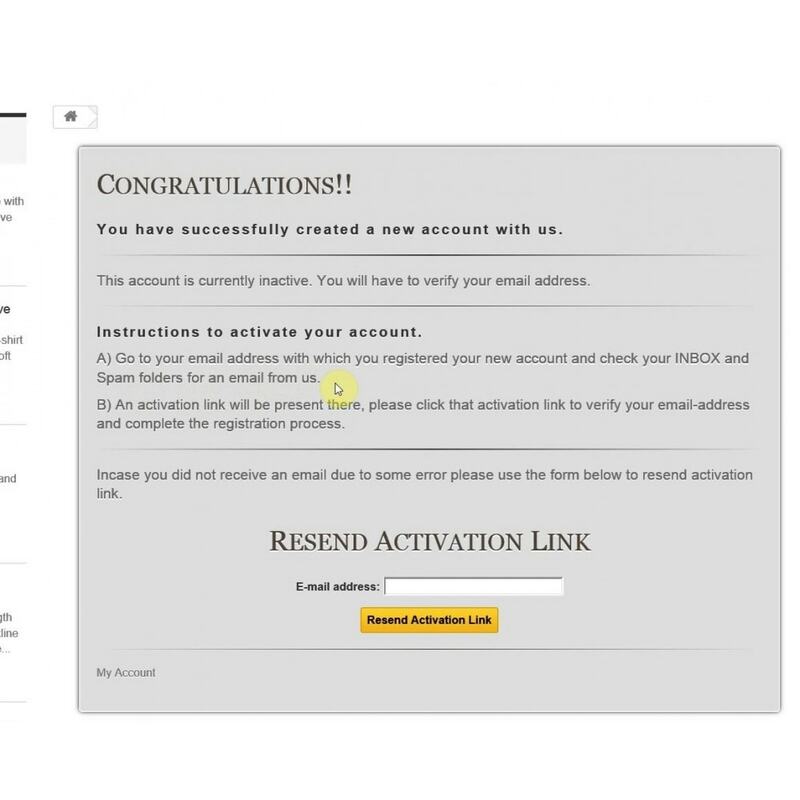 1) Activation new customer registration account through their email. 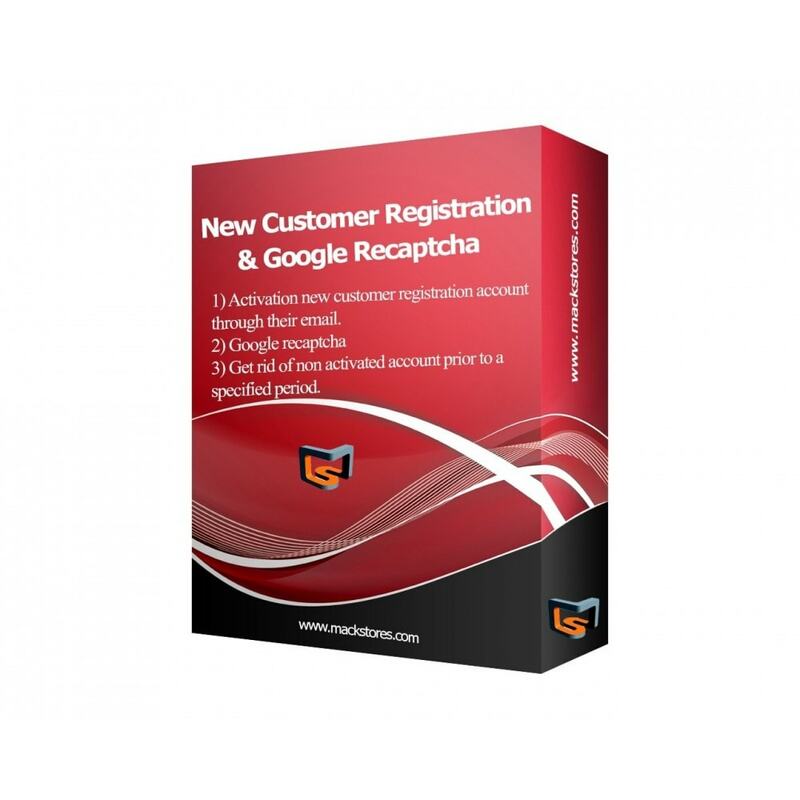 2) Google re_captcha in registration form and contact form. 3) Get rid of non activated account prior to a specified period. you can also automate this by a given link in the module which can be put in the cron job. 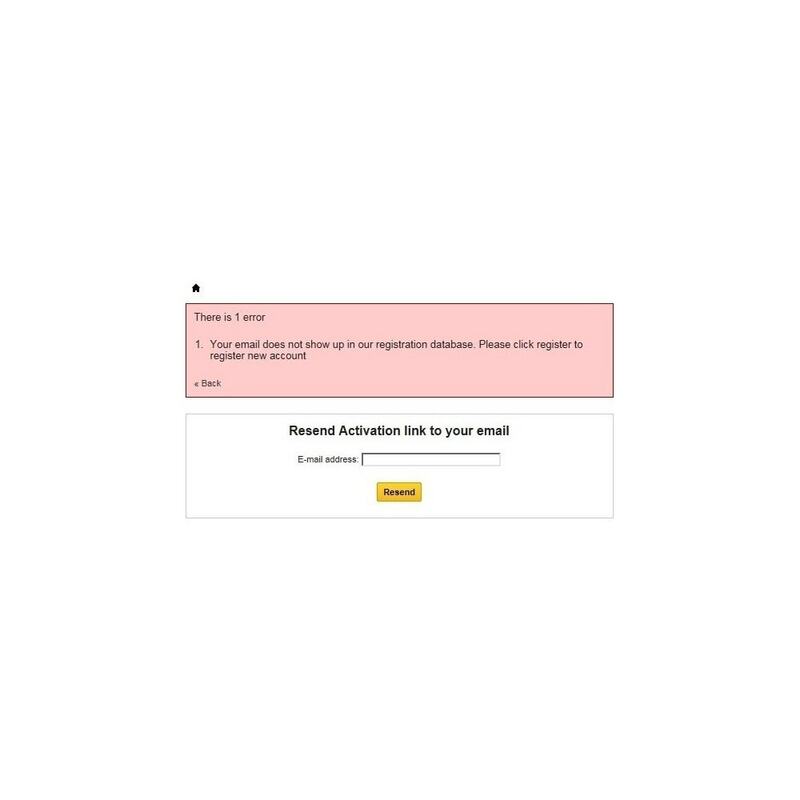 4) Choose form expire validation link in days to infinite days to expire validation link. 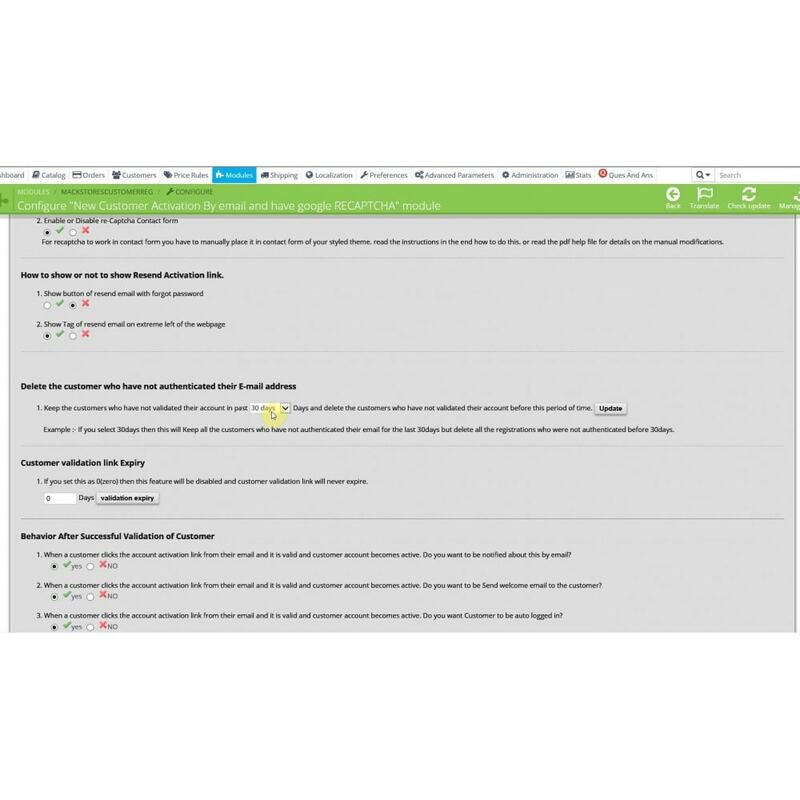 5) Manage Translations' within the module. 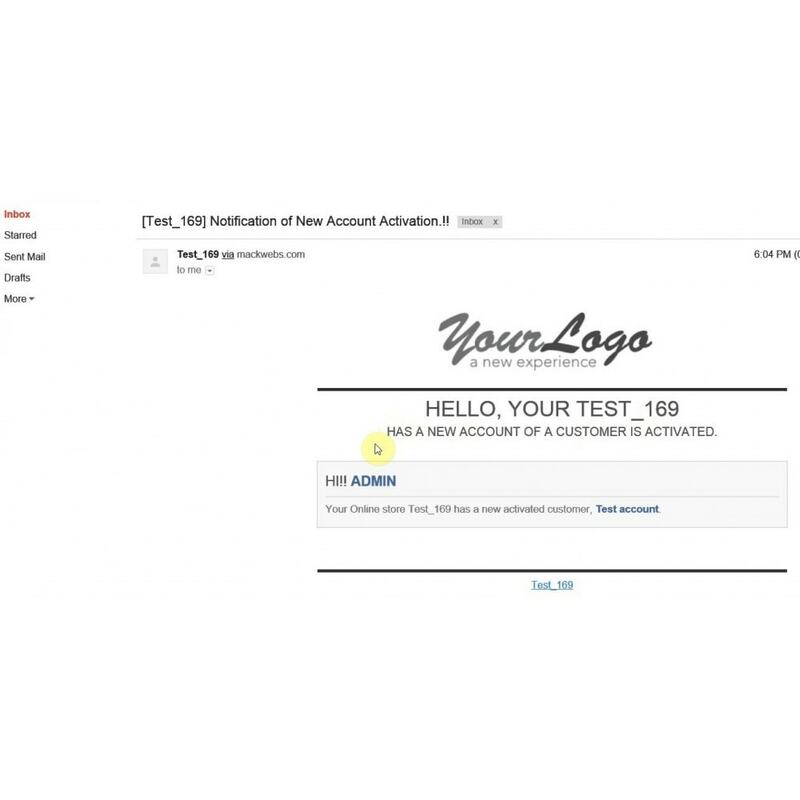 Email sent for validation translations also within the module. 6) Translations Helper helps you to place translation in to the PrestaShop at right place. Just choose the language and it will giude you and even take you to google for translations. 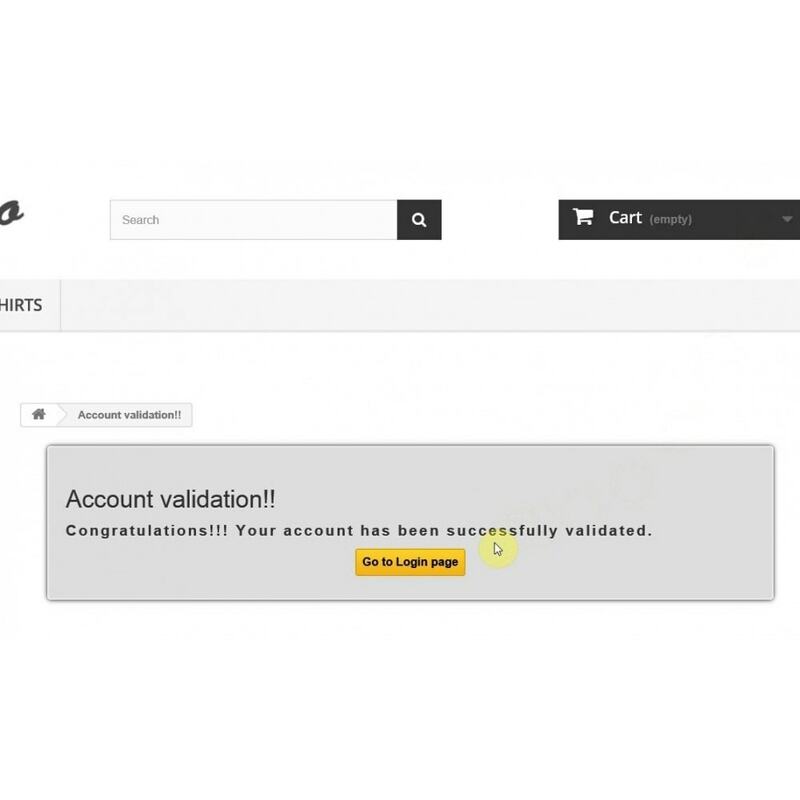 7) You can direct the module to send you or not send you an email when a customer is sucessfully validated. 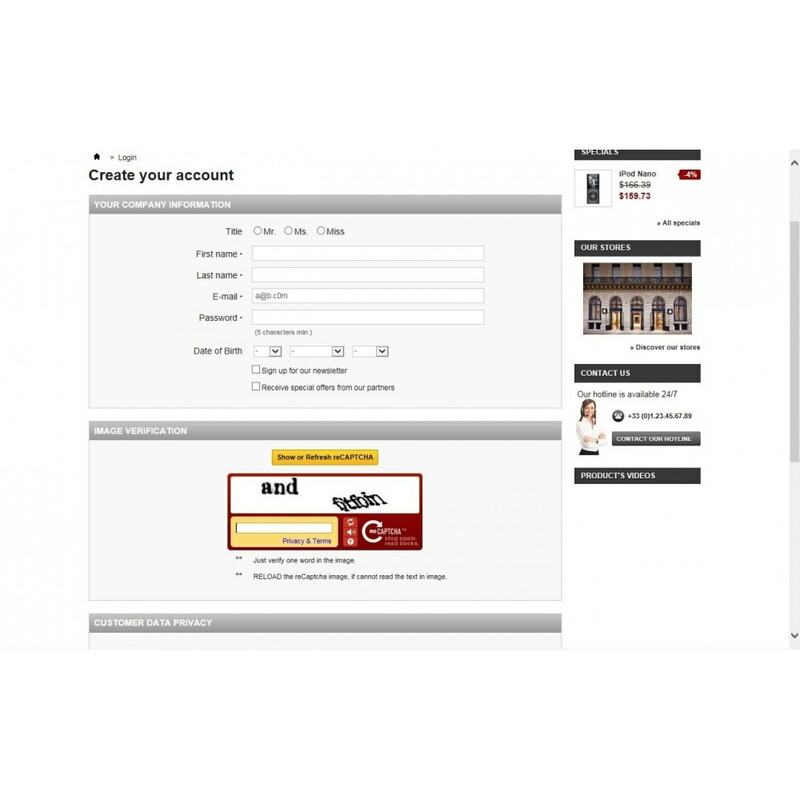 8) Works with inbuilt one page checkout too. 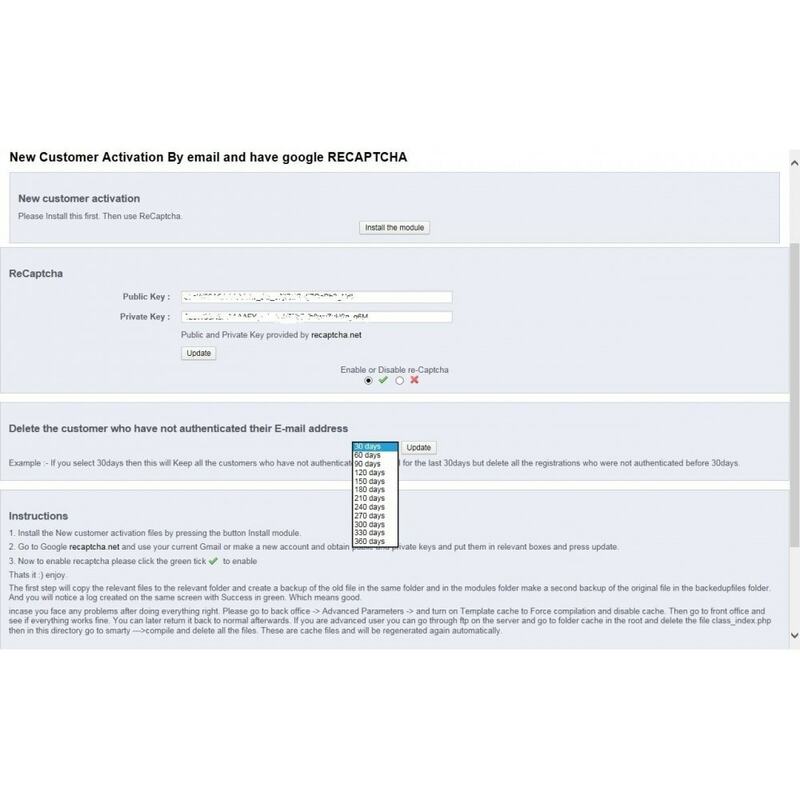 10) When Customer is verified , selectable option for auto login of the customer when they click the link to activate the account the first time. this will only work first time. 11) Auto save cart, someone comes to your shop, makes a cart and then registers on your website. The option to save the cart automatically or not is there. 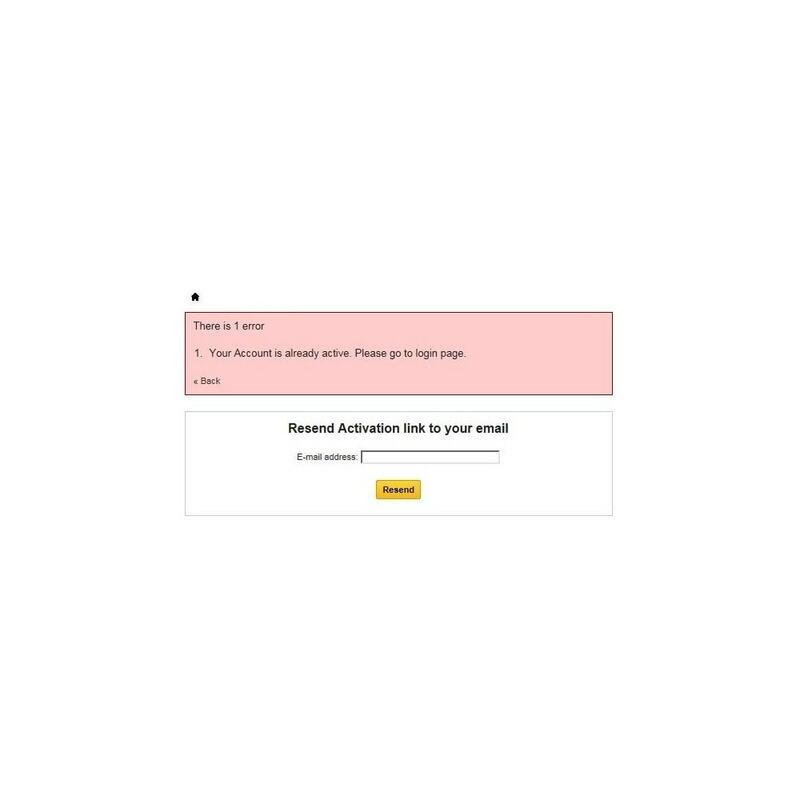 So if saved cart option is on and customer opens email and clicks the activation link on another computer his that cart will be retrieved while logging in. 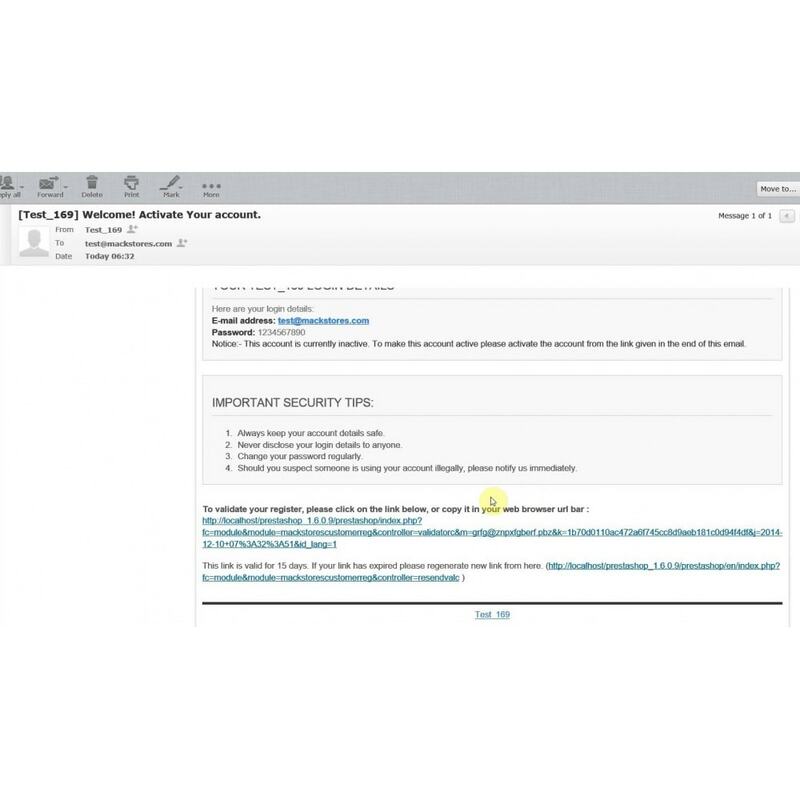 12) Selectable option, When an already verified and active customer changes the email address. 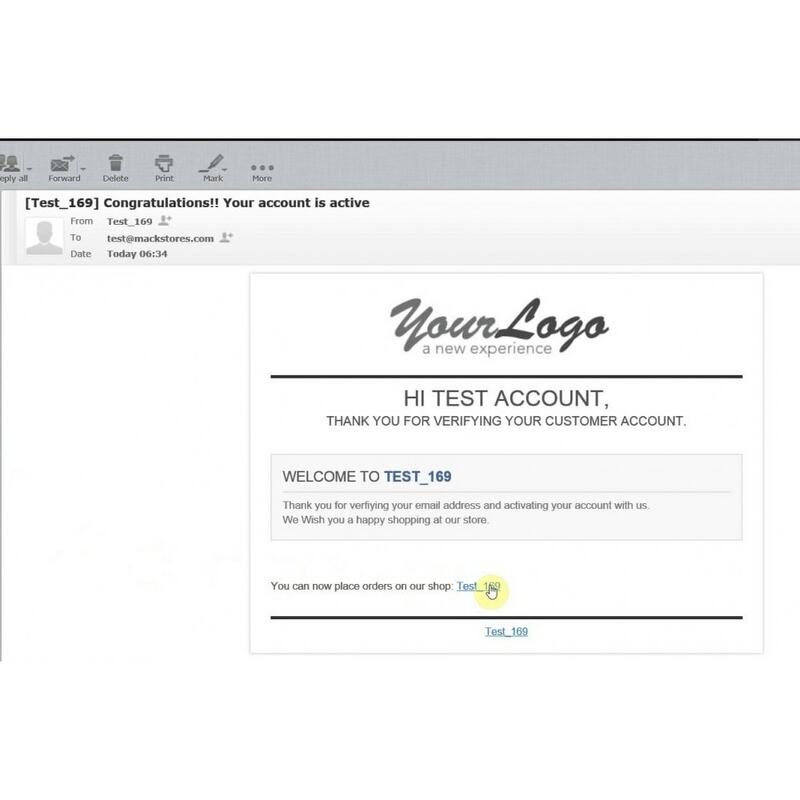 They will get an email regarding verifiying their new email account and the customers account will become inactive till they verify the new email address . 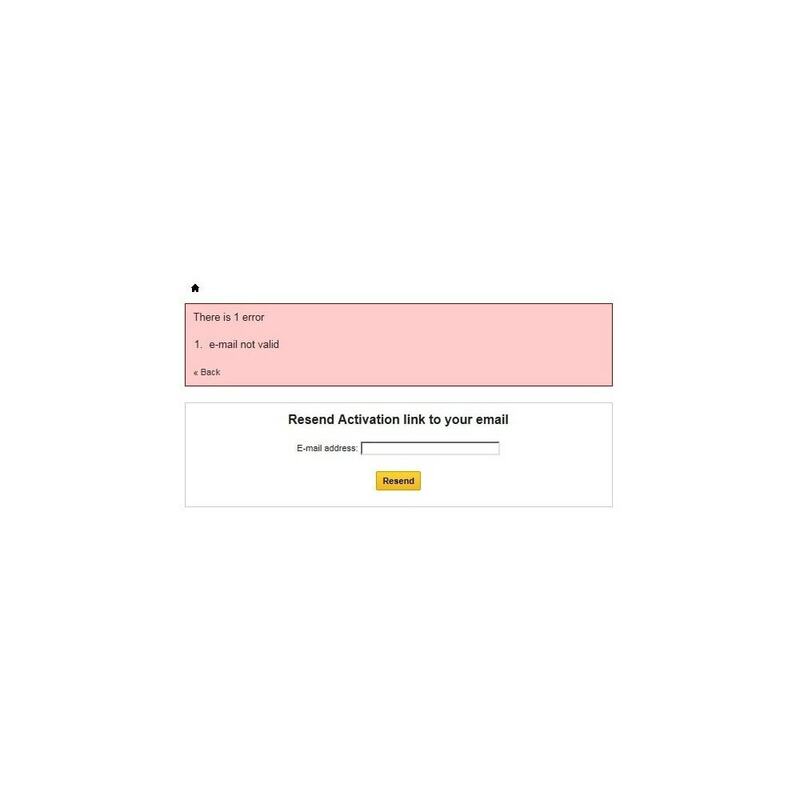 13) If the customer account is inactive(email not verified) and tries to log in. 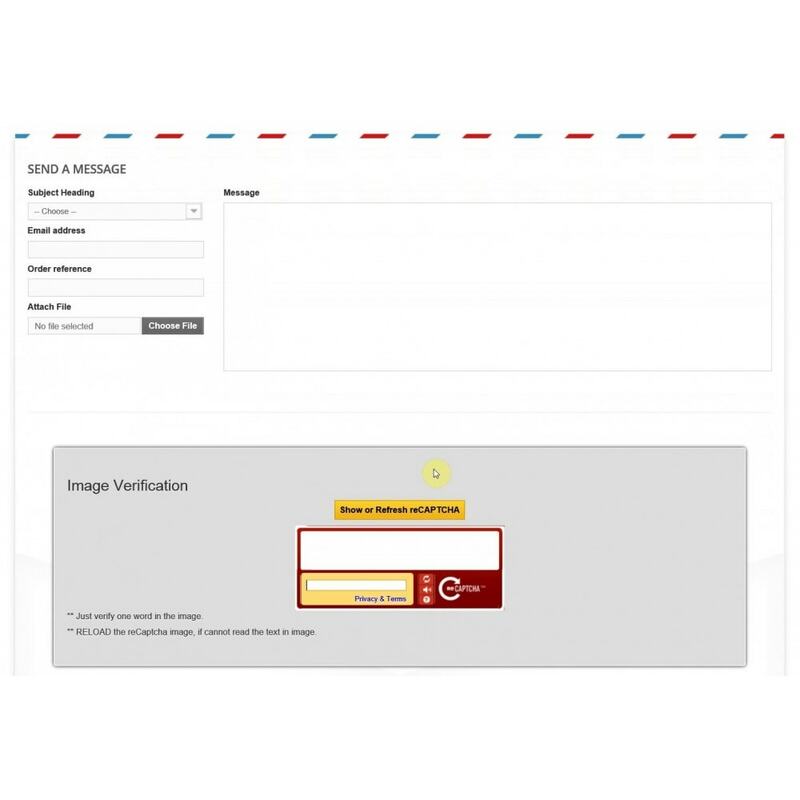 They will get a error describing that their account is inactive and the customer needs to verify the email by clinking the link present in the email. 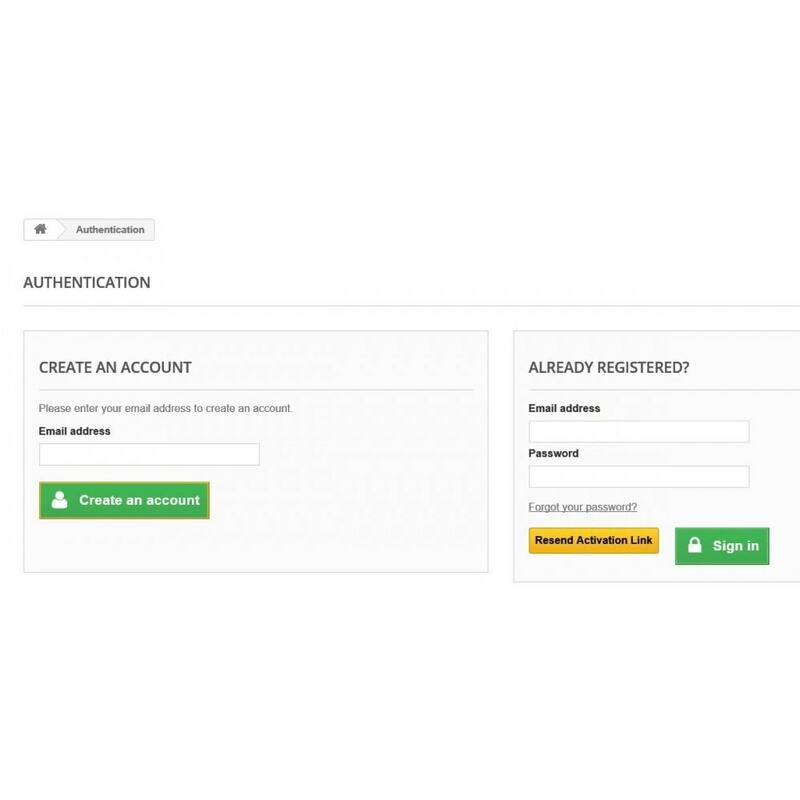 14) Now select how many days or months or a year and this will enable admin to select people who have not authenticated their account before this selected period and send an email again of email validation. 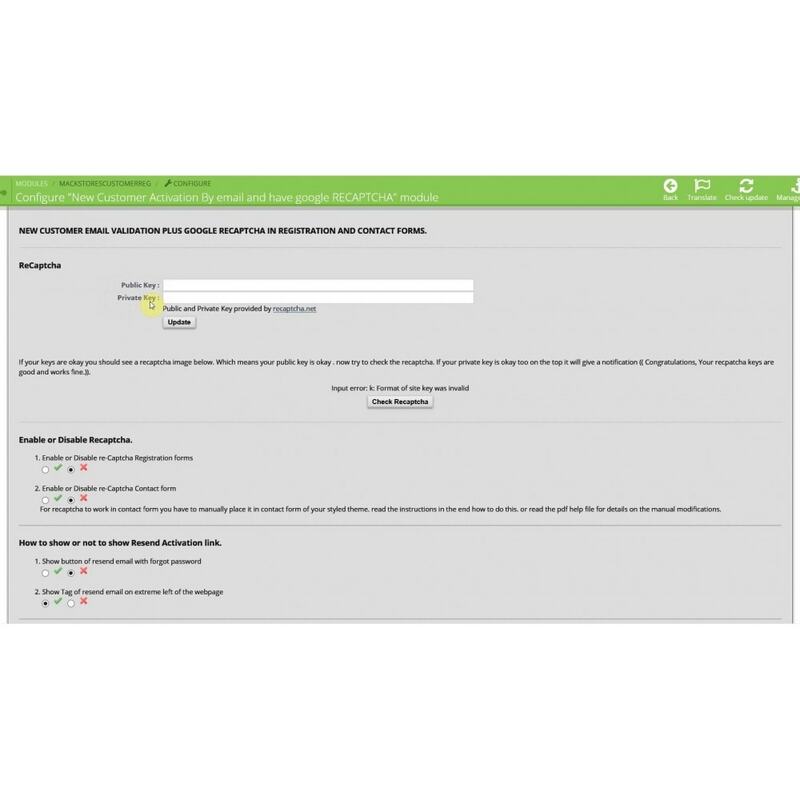 15) Protect your login form from being spammed and brute force attacks. 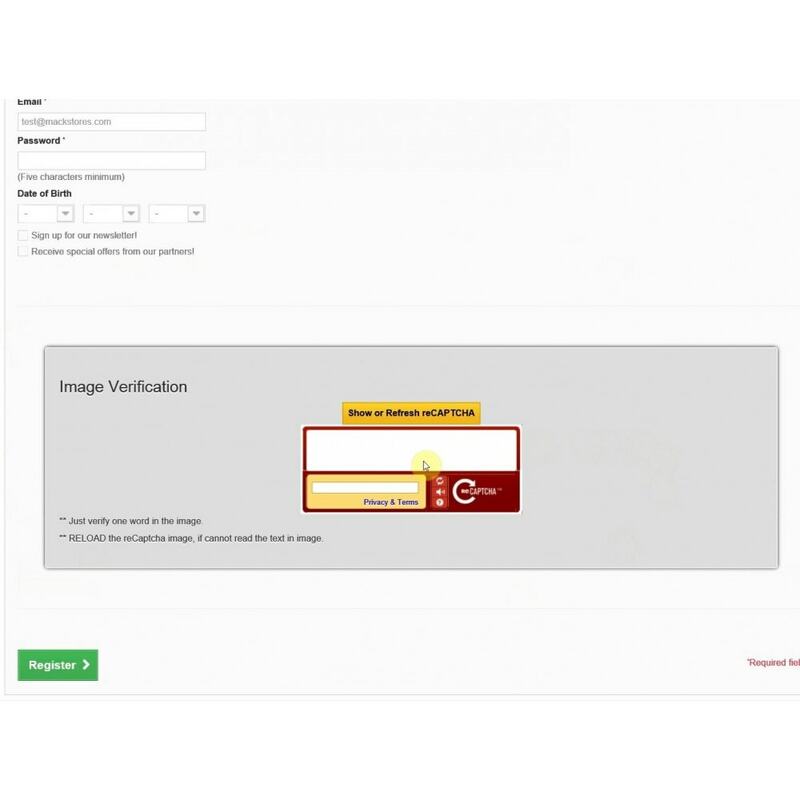 Now ReCaptcha for login for for prestashop version1.6xx and 1.7xx. with adjustable number of tries and timeout. 16)Protect your back-end being spammed by ReCaptcha . There is no special way to install it , simply upload the module vis backend and prestashop will install it , then you can go to configure and do the settings of the module according to your liking. 1) Added contact form Spam protect by changing friendly url name.